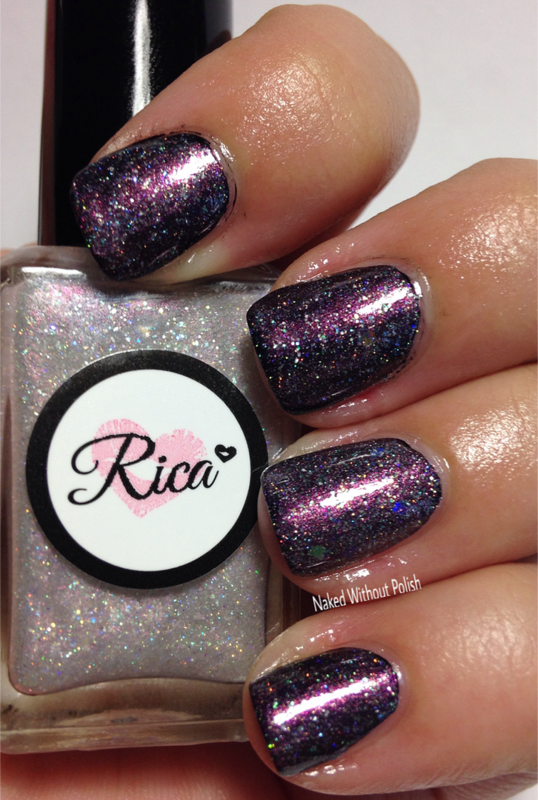 Today, I've got the beautiful Neverending Story inspired collection from Rica to show you all today. This 5 piece beauty is going to be a must have on everyone's wish lists. The collection is soft neutrals with one stand out darker polish. I was beyond impressed with how she interpreted each character and aspect from the movie. It's ethereal and breathtaking. Keep reading to see more! 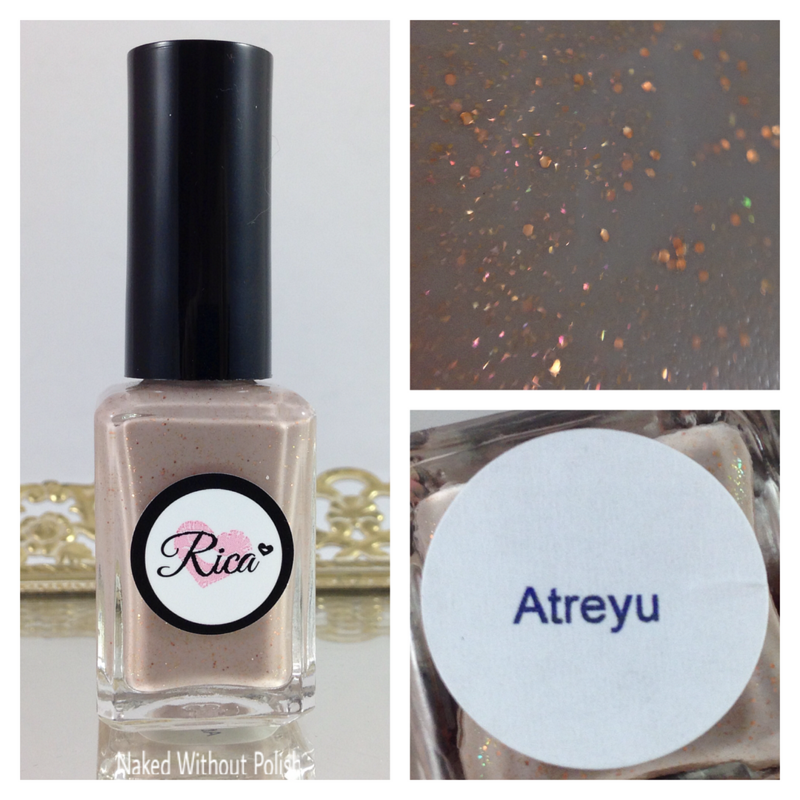 Atreyu is described as "a brown crelly with copper micro glitter and gold to pink shifting shimmer". Shown is two coats of Atreyu with top coat. Atreyu is such a fantastic neutral. It's strong and subtle at the same time. Beautiful application, and all the flakes just elevate the beauty. Just might be the only neutral you'll need. 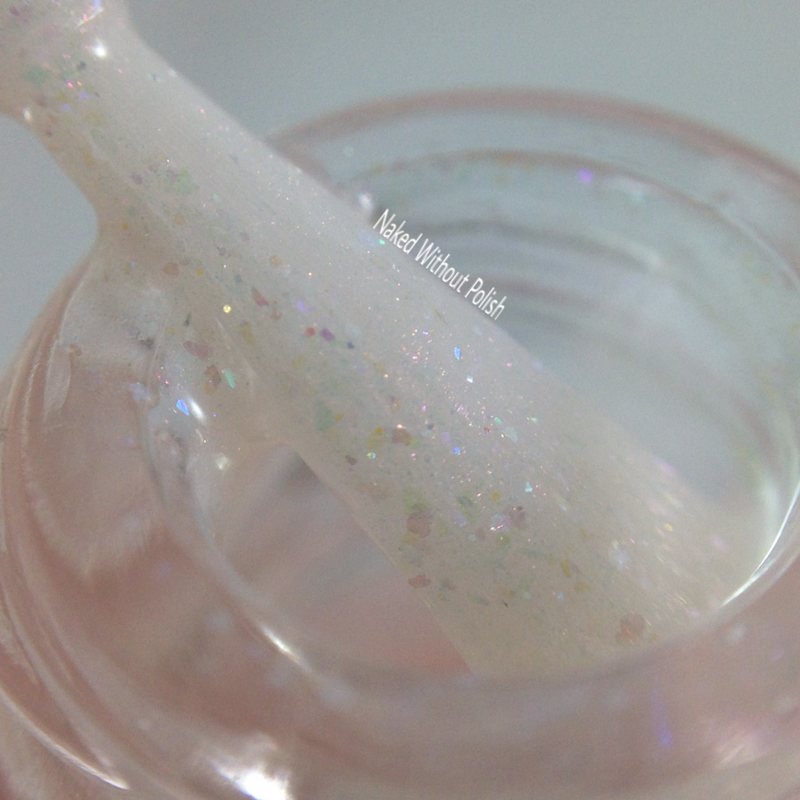 Falkor is described as "packed with various iridescent flakies and glitters of various sizes with holographic sparkle". Shown is three coats of Falkor with top coat. Falkor is happy and light. You'll have an instantaneous smile on your face when you see this one. You know the feeling...it's the same feeling you get when you see him in the movie. She bottled that feeling and brought it to life. It is sheer so you won't really get to full opacity, but it is whimsical and you won't care. Smooth formula and application. Make sure you don't do thick coats. 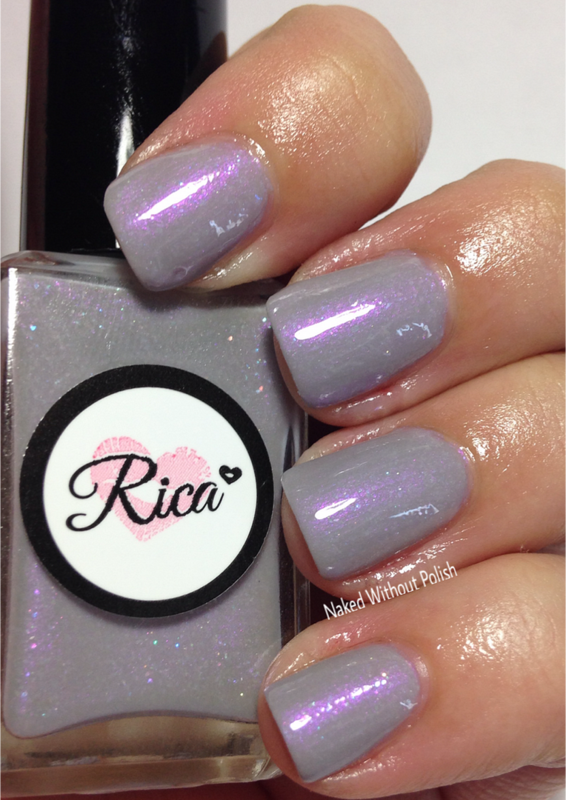 Fantasia is described as "a light grey crelly with iridescent micro glitter and flakies, and a strong purple shimmer". Shown is three coats of Fantasia with top coat. Fantasia might be my favorite of the collection. This grey crelly is everything! A little streaky with the first coat, but evens out and gets to full opacity by 3 coats. 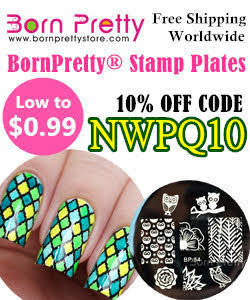 I want someone to use this as a base coat for some awesome nail art! If you do, please tag me! 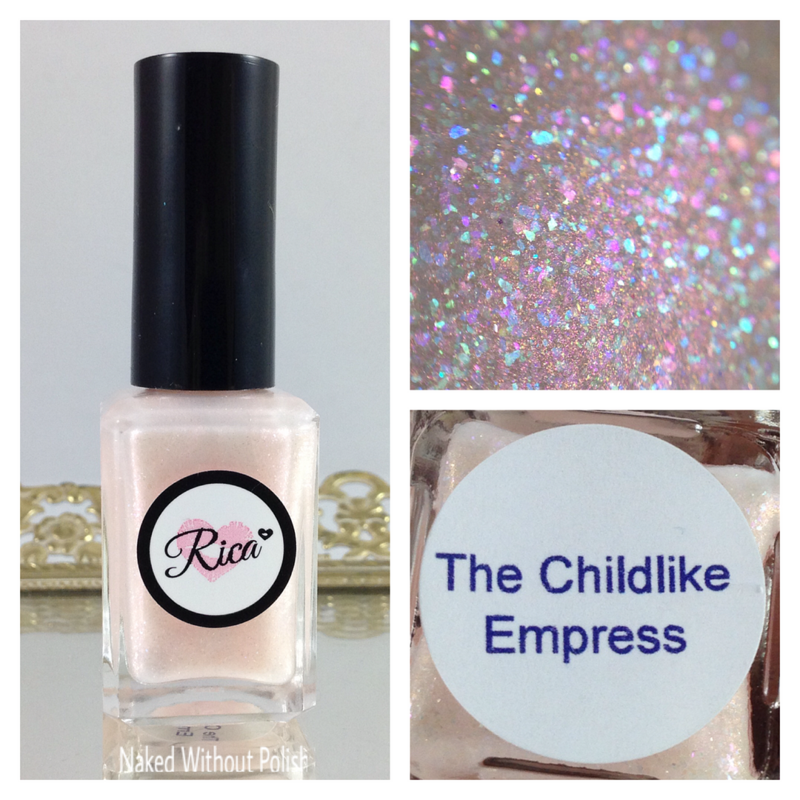 The Childlike Empress is described as "a pale pink to cream shifting topper with various iridescent flakies". Shown is three coats of The Childlike Empress with top coat. The Childlike Empress is another ethereal beauty. Very similar to Falkor, but not identical at all. 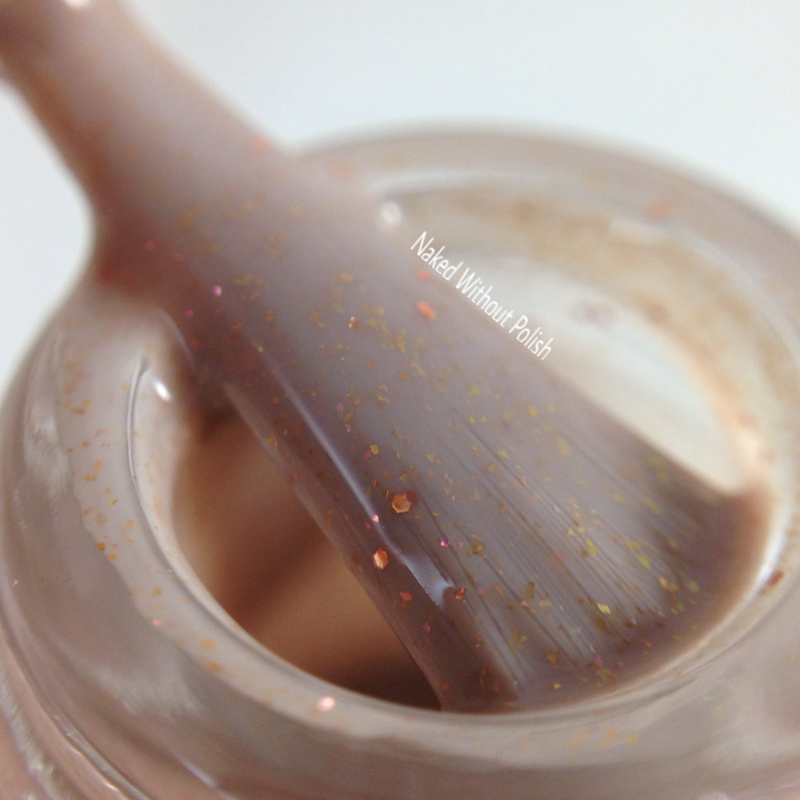 It has a peach toned base and is only filled with iridescent glitter and flakies. No holo. No extra pizzazz. It suits her perfectly! 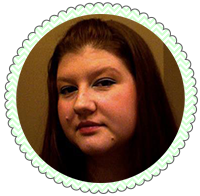 A sheer base that won't really ever get to full opacity, but you won't want it to get there. You'll love this beauty exactly for what it is. 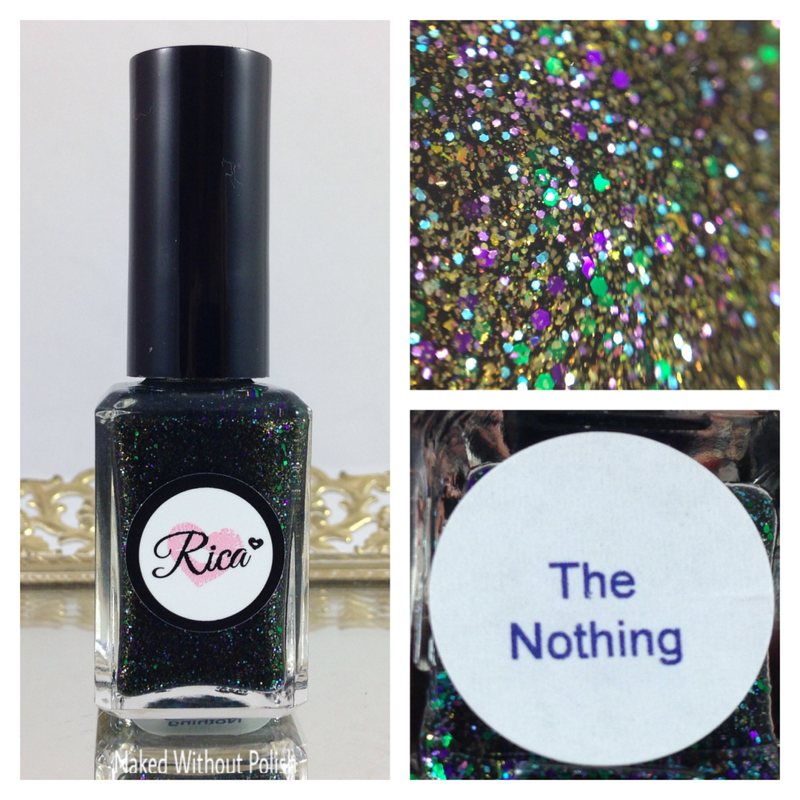 The Nothing is described as "a black jelly with green, gold, purple, and blue glitters and flakies of various sizes, as well as a green to gold shifting shimmer". Shown is three coats of The Nothing with top coat. The Nothing is another favorite of mine from this collection. I'm a huge fan of darker polishes though. I'm a sucker for them. Dark...and green. How could I not be in love with it?! The combination of glitters is perfection! I love that she went this route for the mysterious dark clouds than just a dark grey with blue shimmer or something obvious. She elevated it and made it something super special. Three coats is needed for full opacity and for a lot of glittery goodness. You'll love the application on this one. 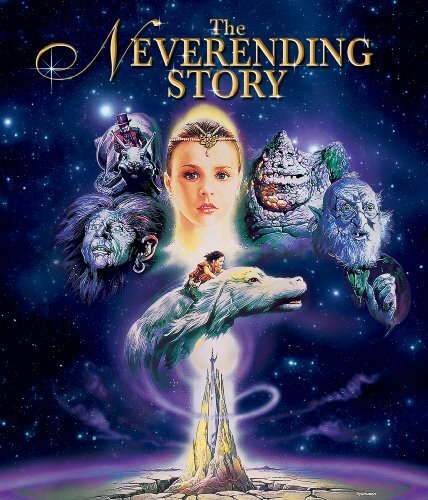 The Neverending Story Collection will be released tonight at 8 pm EST at https://www.etsy.com/shop/justricarda. 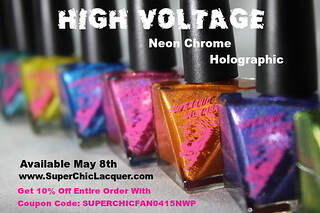 Each polish will be sold for $10. If you buy all five of these, you will receive a free bottle of Ivory Tower (while supplies last). 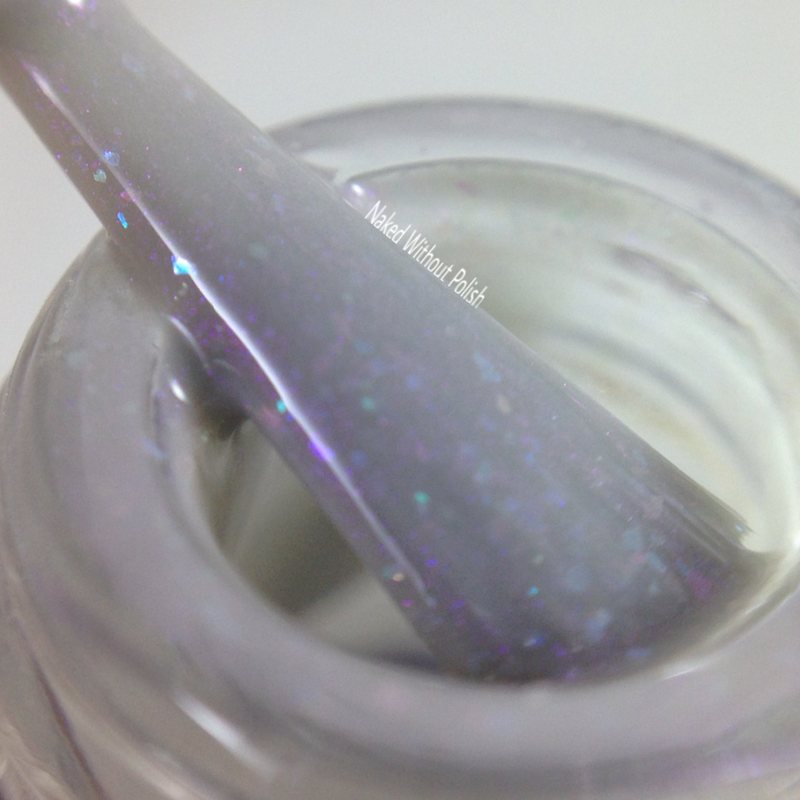 Ivory Tower is described as a "white holo with a blue flash". There is very limited quantities of Ivory Tower so get your order in as quickly as possible. She won't be making more. Something new that she is starting to do are monthly mystery polishes. I was able to snag her first one right before it sold out. (I was nervous it would sell out before I could get to her shop, but I got lucky!) 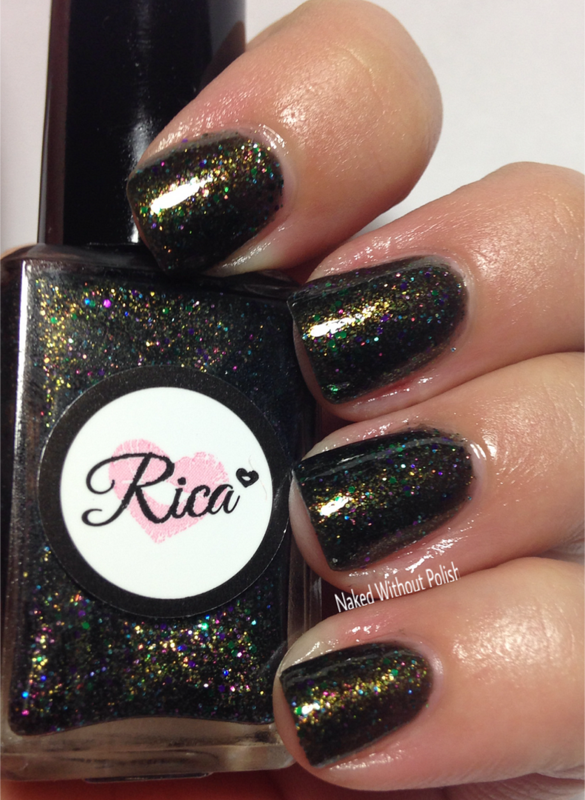 I decided to show you all swatches of it, so you know what you're missing out on if you're not in her fan group. The mystery polishes will be put in her shop at the beginning of each month, and she will announce it in her group. This one sold out quickly so you need to be paying attention. 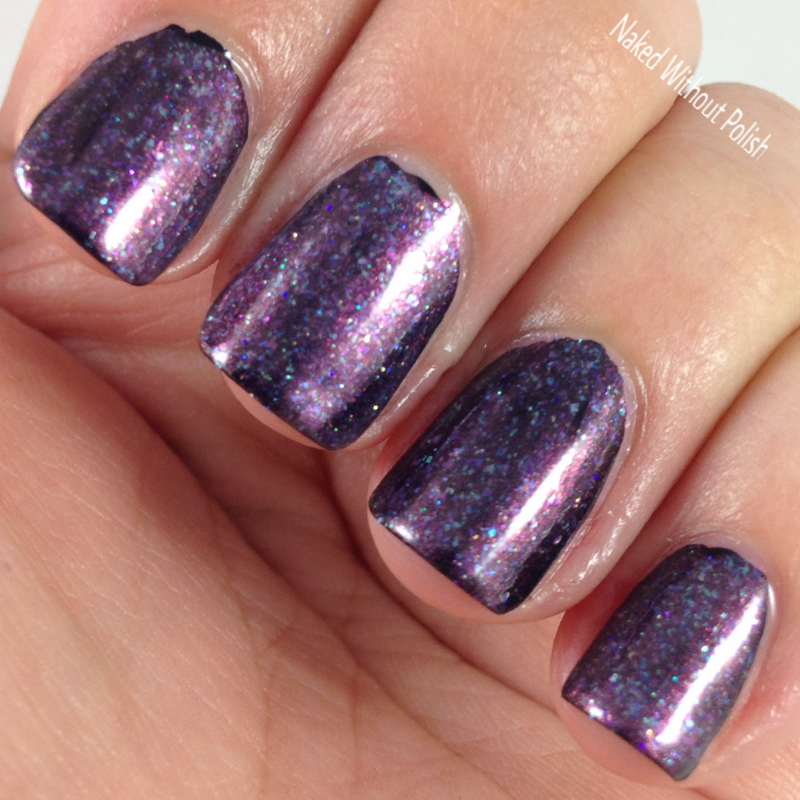 The Tulip Bandit is a vibrant, hot pink holographic polish with iridescent flakes. Shown is two coats of The Tulip Bandit with top coat, but could easily be a one coater. 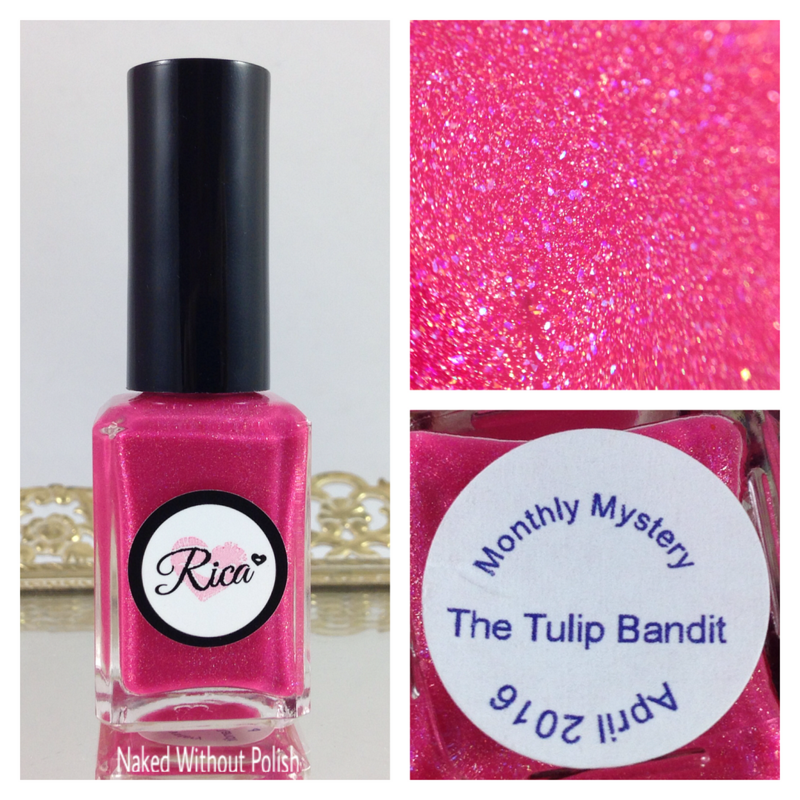 The Tulip Bandit was $13 but it is packed with holo. I have a feeling the mysteries will vary in price because not all of them will be holographic. Make sure you are following Rica on all of her social media platforms (links below) to stay updated on news, sales, and releases. What do you think of this collection? Any jump out at you?